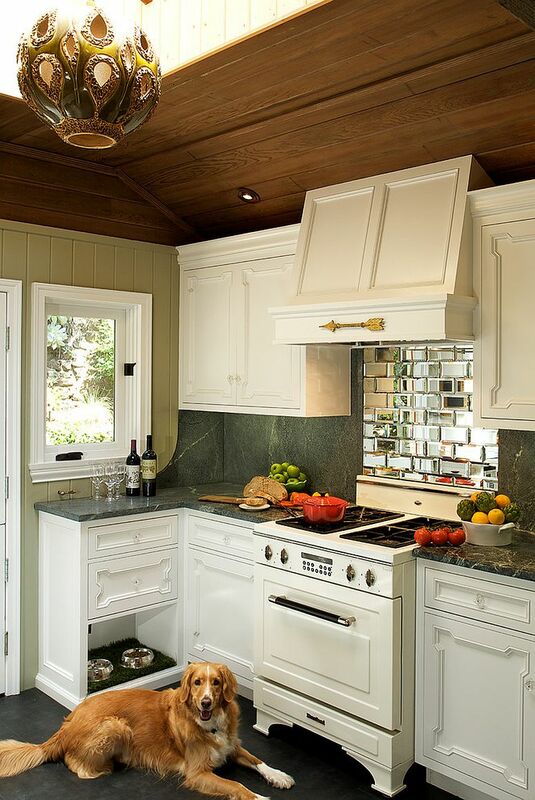 The kitchen is one room of the house that we generally do not like to tinker too much with. 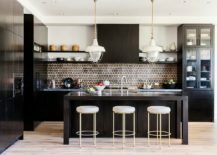 There is already plenty going on in our kitchen and with the ton of activity along with the many colors and finishes on display, we tend to make sure that the backdrop is as neutral as possible. 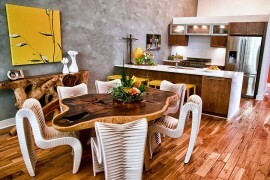 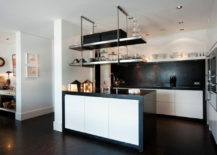 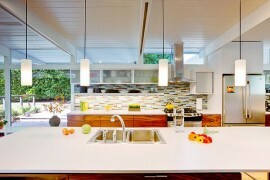 That of course, varies with the style of the kitchen and how organized it is. 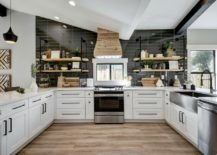 If you have already brought in a bit of seasonal flair to your bedroom and living space and are looking to add something ‘special to the kitchen this fall, then we have just the thing you might be looking for – a unique backsplash! 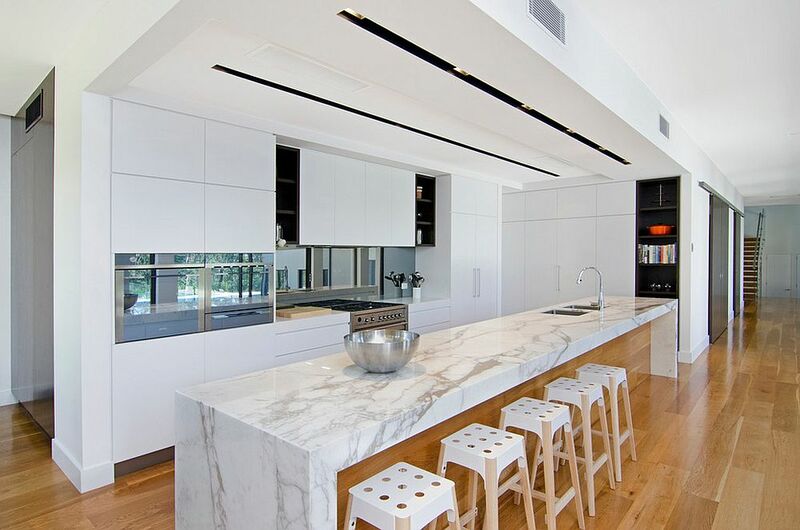 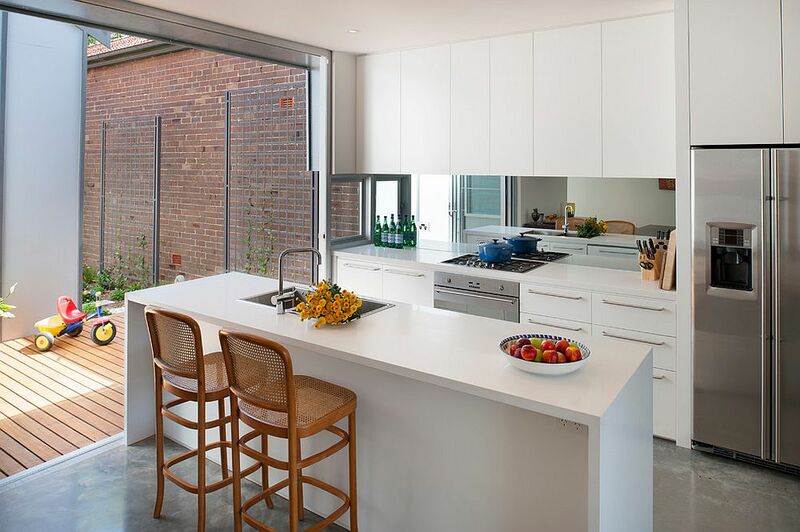 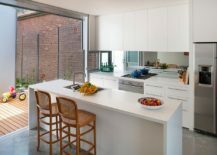 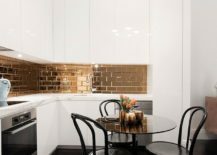 White is such a strong influence when it comes to kitchen design that most of us simply cannot think of any other colored backsplash in our own kitchens. 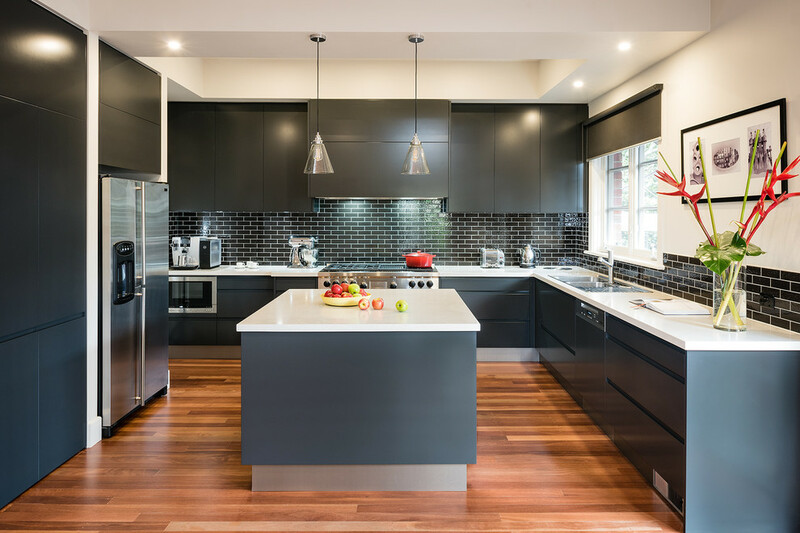 Even if we are talking color, our mind gravitates to beautiful blue, vivacious red or even refreshing green and orange before we even consider the idea of a black backsplash. 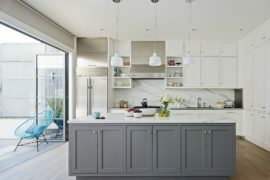 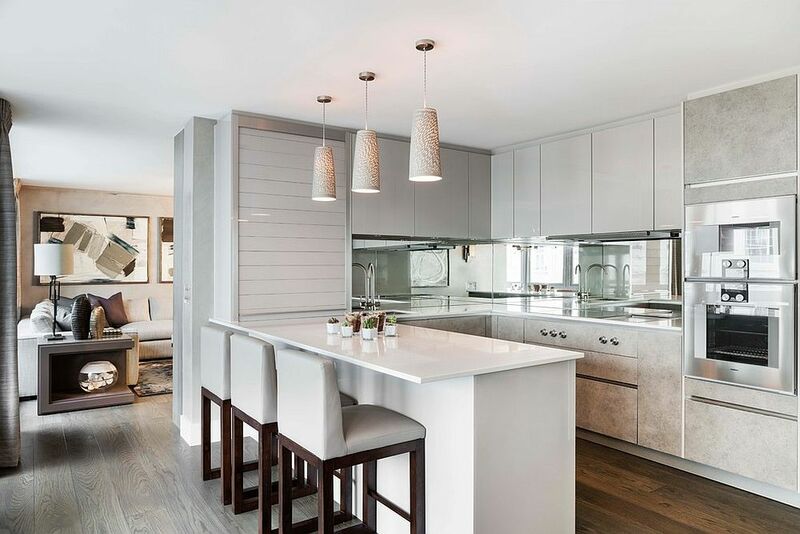 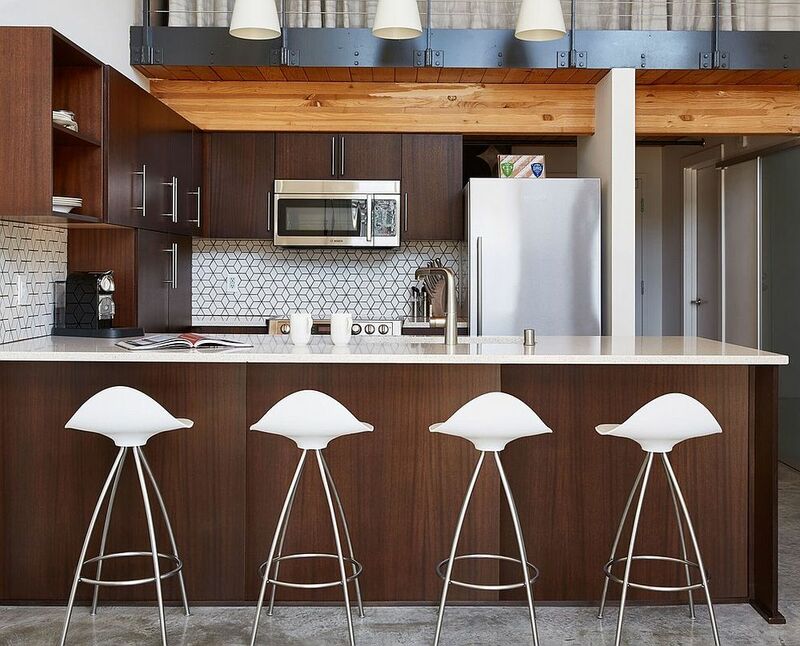 It does seem like an odd idea for many of us, but just look at the many inspirations below and you will instantly notice how great it looks in a neutral, white or gray kitchen. 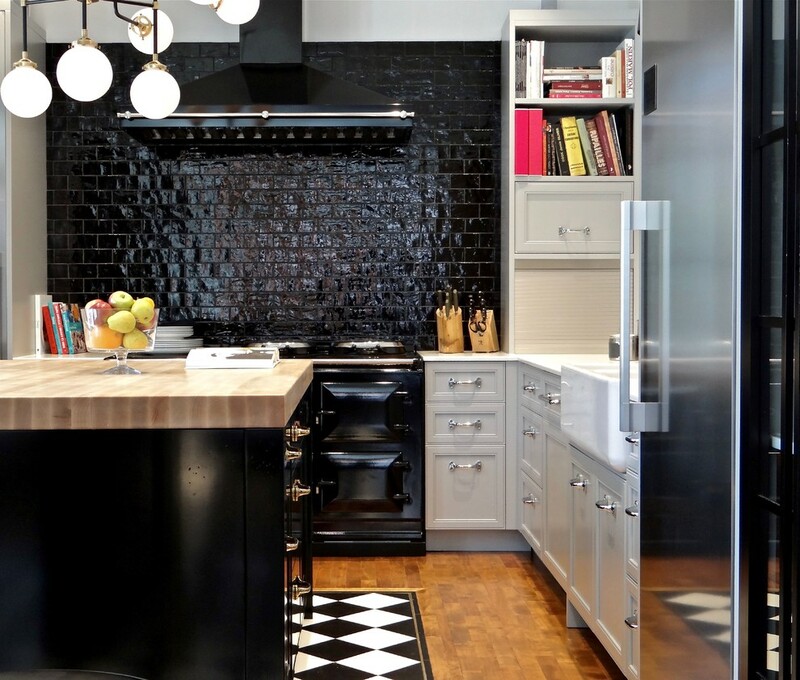 With white and wood kitchens becoming a hot trend, the dashing black backsplash comes in mighty handy. 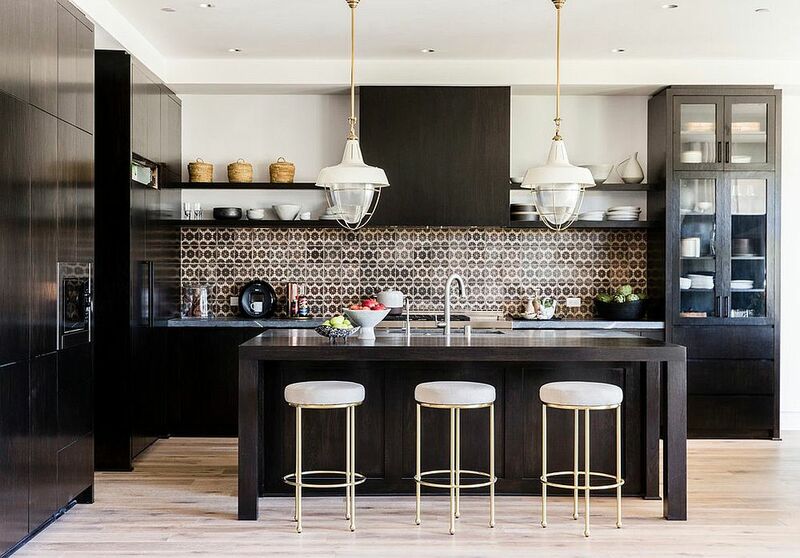 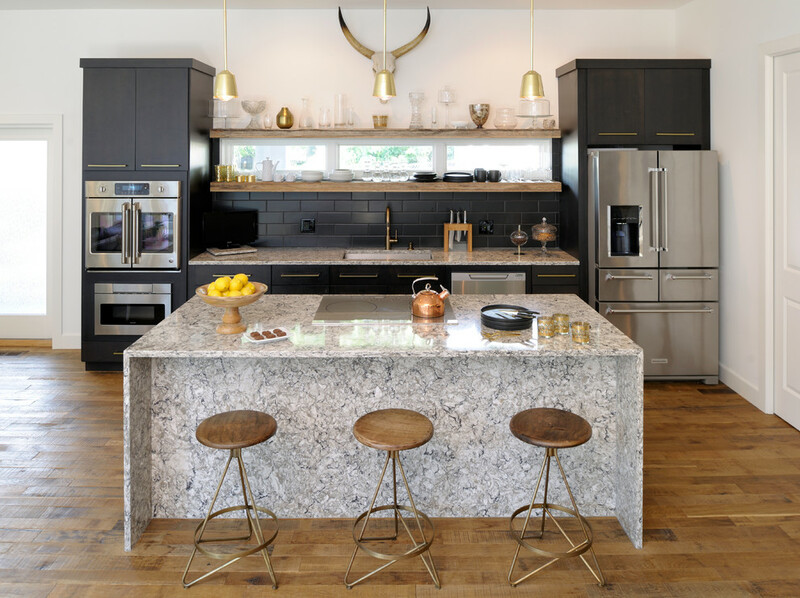 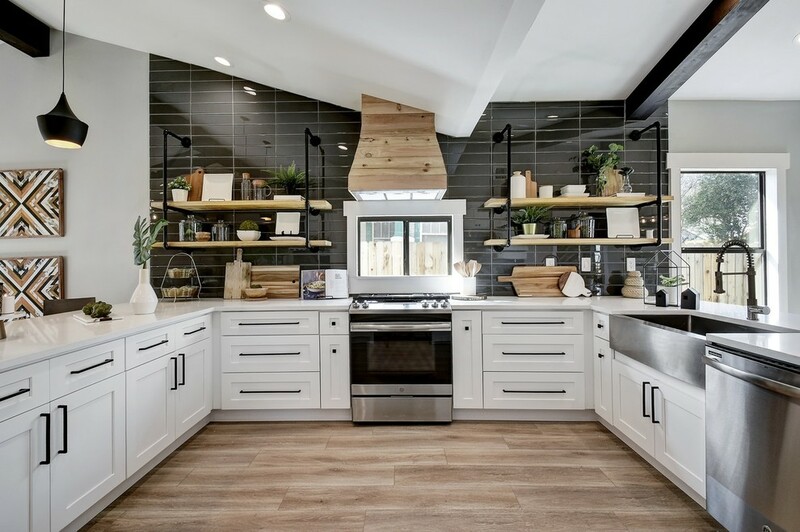 It anchors the room and offers you a chance to create a more curated and timeless kitchen with other black accents like the dark window trim or even black island countertop. 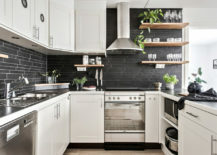 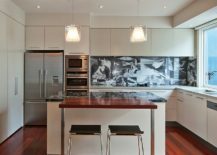 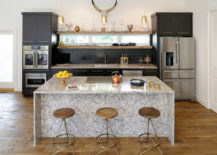 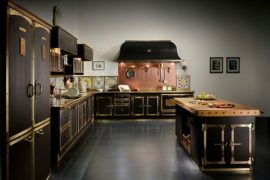 Black backsplash can come in varied forms – from painted brick wall and stone to chalkboard paint and glittering tiles. 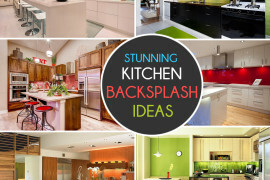 Take your pick and add a whole new dimension to your kitchen. 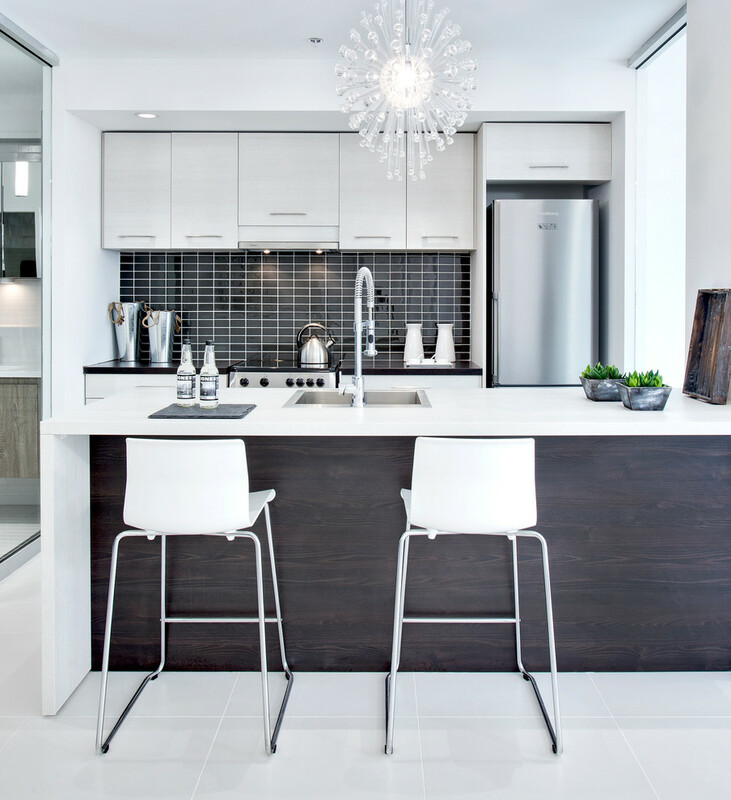 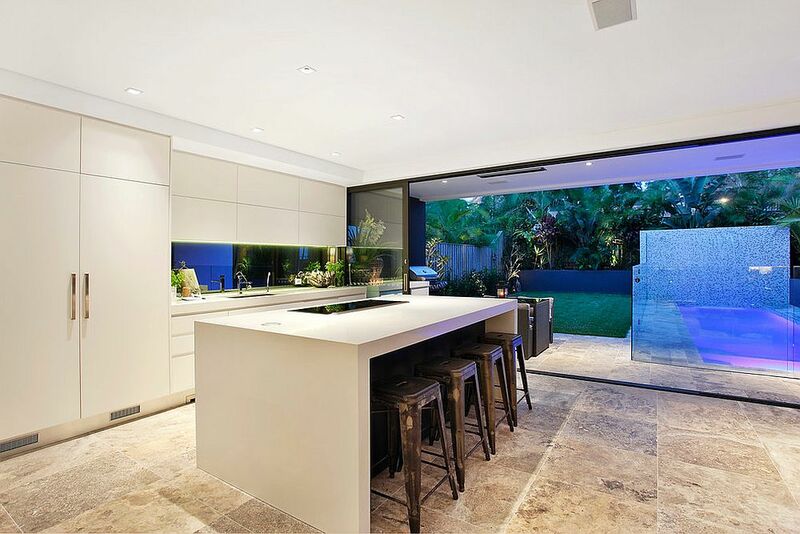 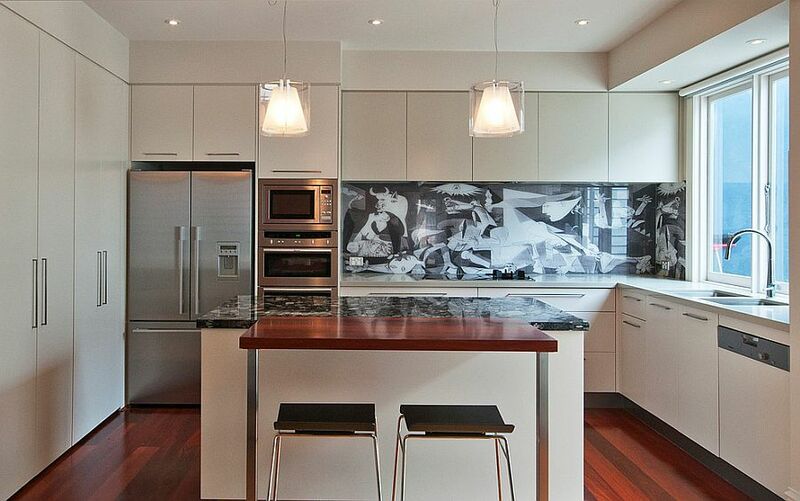 The mirrored kitchen backsplash is undoubtedly not for everyone. 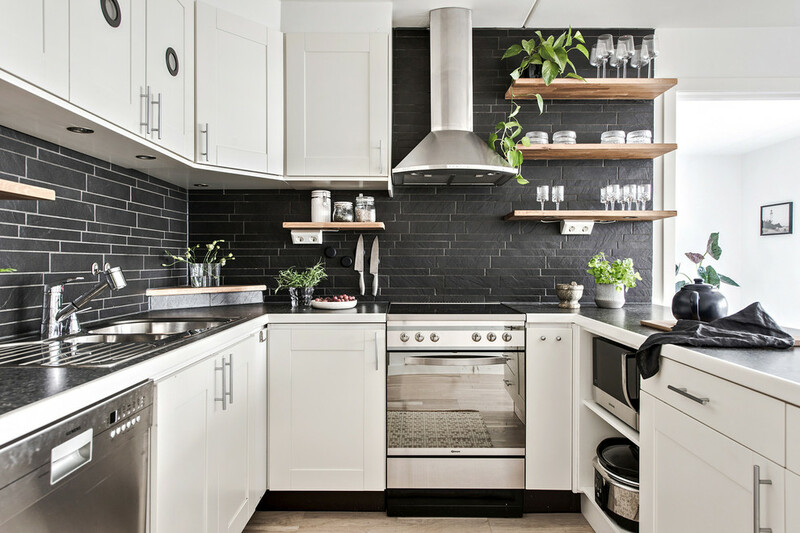 It is for those who can afford to keep their kitchen absolutely clean and probably spend far less time in the kitchen than the average homemaker. 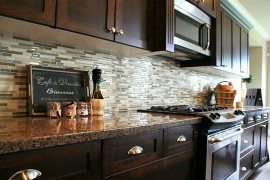 It is easy to understand why it is hard to maintain a backsplash that is bright, reflective and sits right next to your stove! 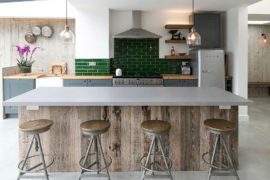 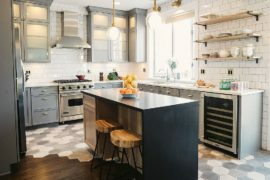 But for those who can manage the cleaning and the maintenance, this is indeed a fun and unique option that elevates the visual appeal of your kitchen almost instantly. 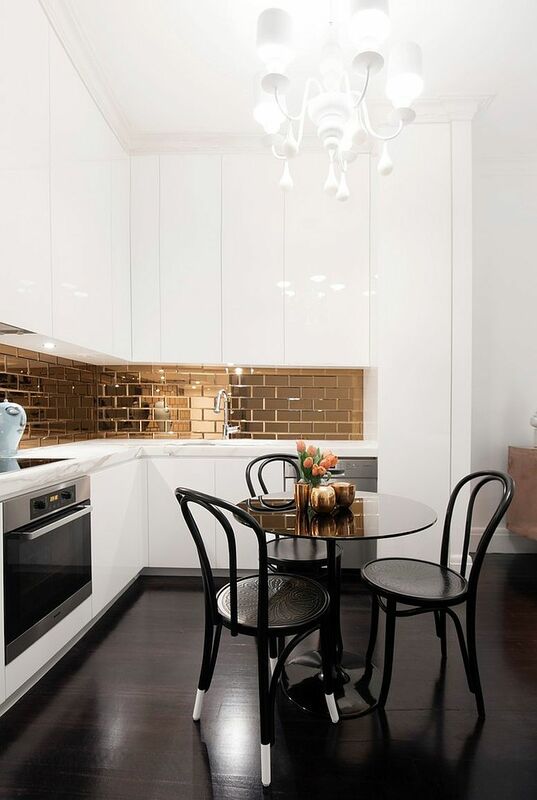 Another smart alternative are bright metallic tiles in silver or gold with mirror finishing. 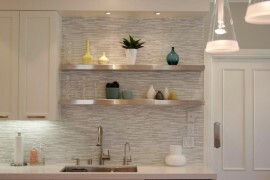 They add plenty of brightness along with a dash of metallic charm. 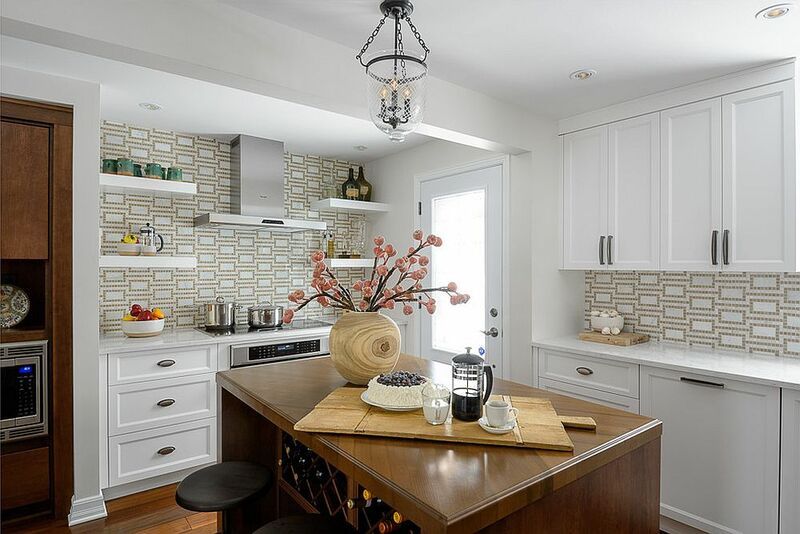 If you want to add a bit of pattern to your kitchen as you head into the festivities of fall and winter, then a smart tiled backsplash with elegant pattern is the perfect option indeed. 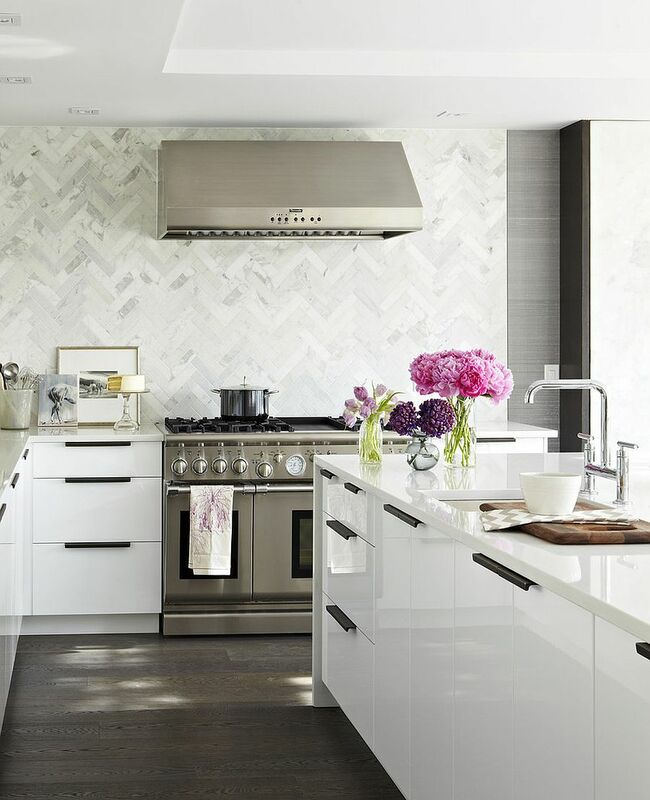 Move away from the boring white tiles and add that something extra with 3D kitchen tiles that can bring the wall alive without altering the color scheme of the room. 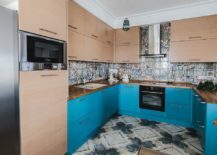 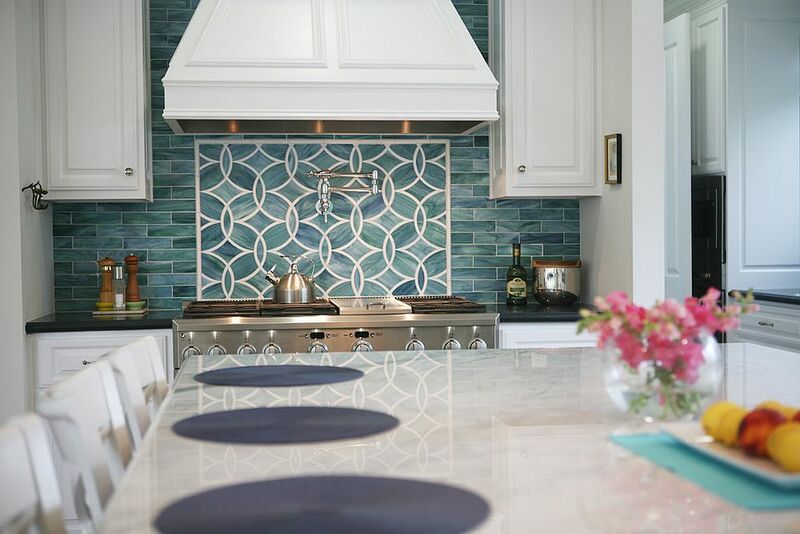 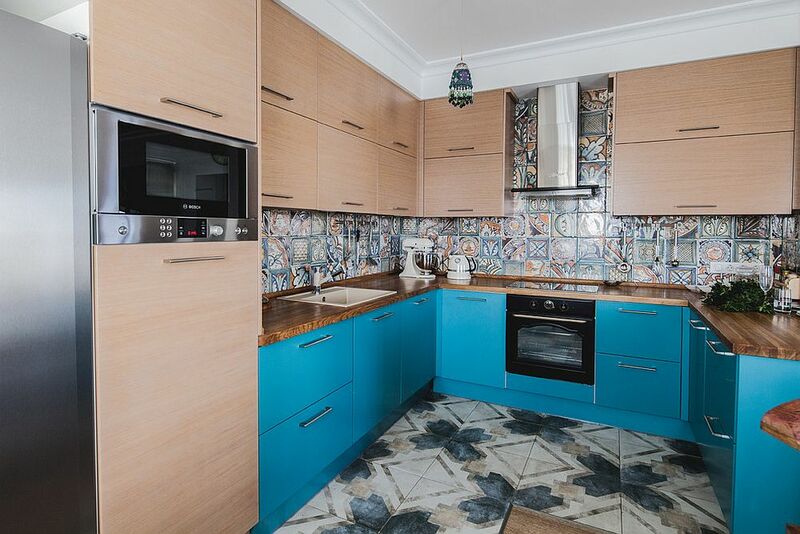 Splashes of blue with a wavy pattern fit in perfectly with coastal style while hexagonal motifs and eclectic, modern prints work well in contemporary and midcentury modern kitchens. Take your pick! 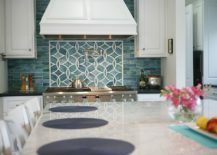 RELATED: Kitchen Backsplash Ideas: A Splattering Of The Most Popular Colors!